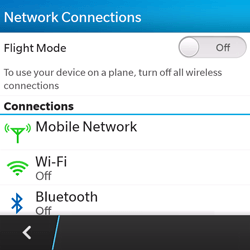 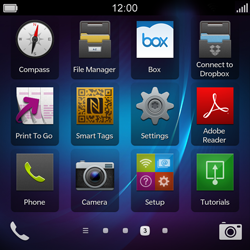 To connect with another Bluetooth device like a headset, carkit or laptop your Blackberry Q5 requires a number of settings. 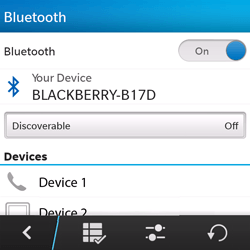 All available Bluetooth devices within range of your Blackberry Q5 are listed. 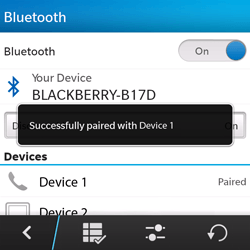 If no devices are listed, make sure that Bluetooth has been enabled on the device and that the device is within range of your Blackberry Q5. 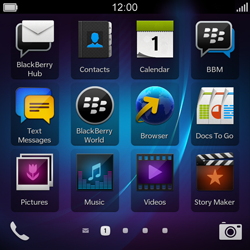 Choose the refresh symbol. 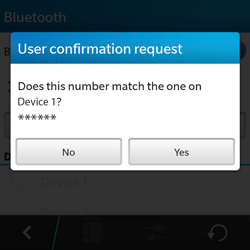 If this screen does not appear, enter the PIN code to pair with the Bluetooth device, and choose Yes. 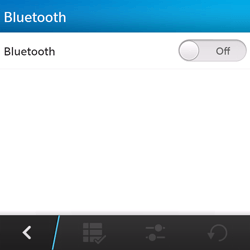 This code can be found in the manual of the selected Bluetooth device (usually 0000 or 1234). 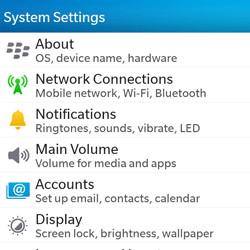 The Blackberry Q5 and the Bluetooth device are paired and available for use.